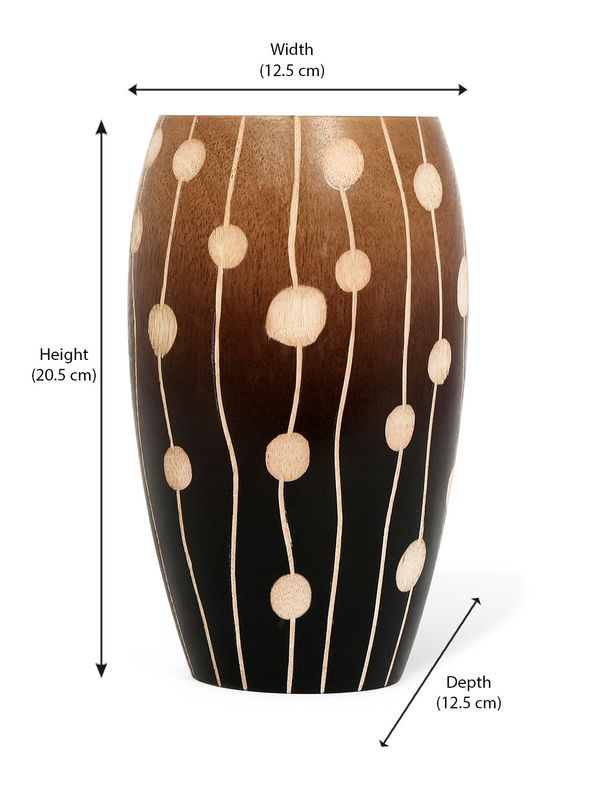 For those who like things arty, stylish and unique, this wooden vase would definitely impress. Crafted out of wood, the urn-shaped tall vase can hold long-stem fresh flowers or dried flower arrangements. The natural brown wood texture is punctuated with a subtle abstract design that enhances its look. What is more, it easily blends into different kinds of interior décor styles with wooden furniture. Give it your favourite nook in the house or wrap it up as a gift for a friend.